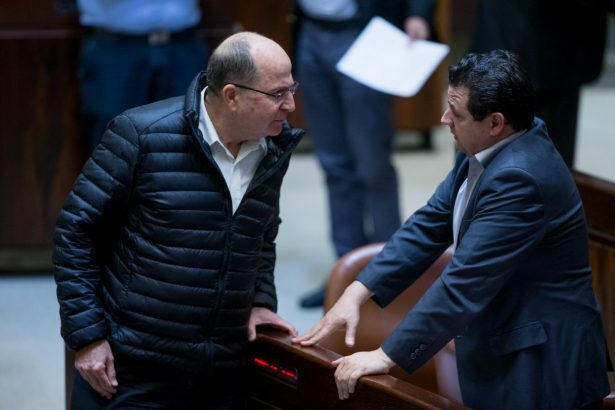 Then Defence Minister, Moshe Ya'alon speaks with Leader of the of the Joint Arab list, Ayman Odeh in the assembly hall of the Israeli Parliament on March 28 2016. 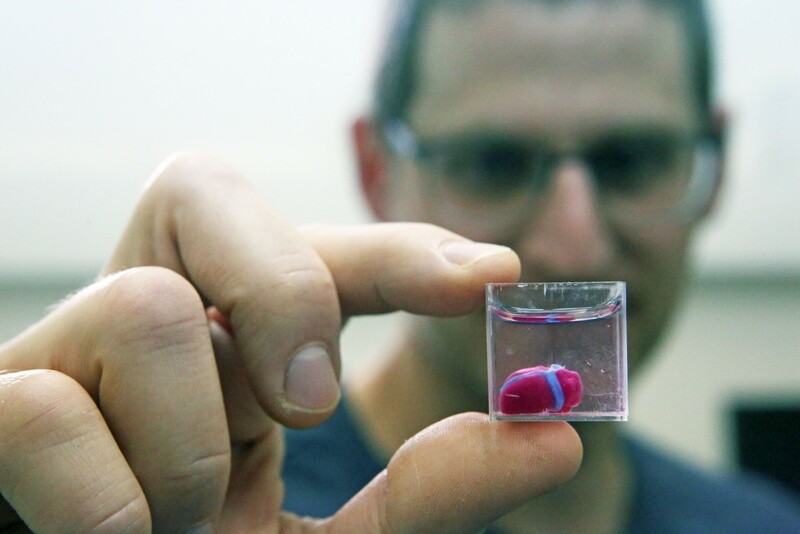 Photo by Yonatan Sindel. Flash90. Ron Gerlitz, the Co-Executive Director of Sikkuy, The Association for Civic Equality in Israel, argues that only a political alliance between the Jewish left, the Jewish centre, and Arab citizens has a chance of preventing the Israeli right from continuing in power and that such an alliance is feasible. Three large segments of the Israeli public – the Jewish left, Jewish Centre and the country’s Arab citizens – face tremendous political challenges in modern day Israel. Substantial differences in ideology and identity separate them, yet the same ultra-right-wing government is battering them all, and all three are seeking an end to that. The best way to oust the present right-wing government is to create a political alliance among the three, and such an alliance, even if not the close to being forged at present, is entirely possible. As things stand now, there is no other way. The right wing is consolidating its rule by all possible means, and the prospect of leftist and centrist parties collectively obtaining 61 seats is negligible. If the 10 to 13 seats projected for the current configuration of parties representing Arab citizens (Balad-Raam and Hadash-Taal) are not counted toward the base of support for the next government, there will be no reasonable chance to form a non-right-wing government. Prime Minister Netanyahu understands this very well and that’s why his election campaign has gone on the offensive against Benny Gantz and Yair Lapid, who head the new centrist Blue and White party. Netanyahu accuses them of harbouring extremely dangerous plans, including the intent to form a government reliant on the support of Arab citizens. “It’s Bibi or Tibi” he repeats at every opportunity. This theme continues a well-worn and constant effort by the right wing to delegitimize Arab participation in the governing coalition. In light of this, the failure to somehow create a working partnership of the Jewish left, the Jewish centre, and Arab representatives will actually be furthering the chief project of Israel’s right wing. There are two common misperceptions about such a partnership. Among the Jewish mainstream, the misperception that the Arab political leadership is not a valid partner in this respect is attributable primarily to decades of increasingly intense right-wing incitement against both Arab leaders and Arab voters. Meanwhile, the Arab public believes it has no partner in the Jewish left and centre, a conviction undoubtedly reinforced by Avi Gabbay’s drastic pronouncement in October 2017 that he would not join a government which includes the Joint Arab List. The same lesson was hammered home again in early March 2019, when the new centrist party, Blue and White, supported a disgraceful decision by the Knesset to disqualify the Balad-Raam Arab list from competing in the April election, a decision subsequently overturned by the High Court of Justice who decided to allow the list to take part in the election. Here, I argue that the typical conclusions drawn in this regard were made in error, and that a reasonable political partnership enabling regime change is politically feasible. Under certain conditions, moreover, it would enjoy broad support from the Arab public and most of the Arab political leadership. Certainly, the Jewish left and centre would consider supporting such a move in order to return to power. 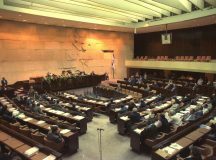 The second Rabin administration (1992-1995) was the first and so far the only government to rely on the Arab members of the Knesset. In the 1992 elections, Labor won 44 seats, Meretz 12, Hadash 3, and the Arab Democratic Party 2. Shas, which won 6 seats, initially joined the government before leaving in 1993 when the Oslo Accords were signed in September 1993. Rabin’s government subsequently became a minority government (with 56 seats) and was supported from the outside by the parties representing the Arab public; Hadash and the Arab Democratic Party. These two Arab parties, it should be noted, voted with the government from the outset in July 1992, with such support becoming critical in enabling the Rabin administration to remain in power once it became a minority government. The Rabin government shattered the undemocratic notion that the government’s base of support must be a Jewish majority, by relying instead on a civil majority. 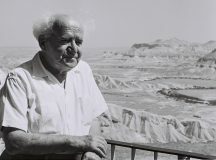 The agreement between Rabin and the representatives of the Arab voting public was that so long as the government strove for peace with the Palestinians and advanced equality for Arab citizens of Israel, Hadash and the Arab Democratic Party would prevent the right from ousting the government. Both sides kept their end of the bargain. The Arabs supported the government through every no-confidence motion that threatened to topple it, and for two years had unprecedented influence on government policy. While they were not formally part of the coalition, their support enabled the government not merely to survive but to also carry out the most dramatic moves since the establishment of the state – recognition of the PLO in exchange for the recognition of Israel’s right to exist in peace and security, the signing of the Oslo Accords, and Israel’s military withdrawal from Gaza and Jericho. 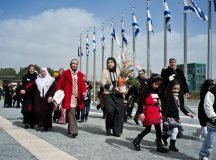 The government also took preliminary but important steps to redress longstanding discrimination toward Arab citizens – ending the embarrassing discrimination in child support allowances, recognition for several unrecognised Arab communities, and adding momentum to budget allocations for Arab local authorities. The change in policy and rhetoric was palpable, and there are many in Arab society who both recognise that time as the golden era of their relations with the state and support the re-establishment of such a government. Indeed, an early March op-ed in the New York Times by MK Ayman Odeh argued just this. The partnership enabled the left to return to power 15 years after the electoral upset of 1977 and to promote unprecedented steps toward reconciliation with the Palestinians, as well as enabling the Arab political leadership to initiate new progress toward reducing socioeconomic gaps and changing policies in a way consonant with the national aspirations of the Palestinian people. This fragile political understanding between the Zionist left and the Arabs endured many hardships. But the agreement was honored by both sides until a lone right-wing extremist ended it by assassinating the prime minister. While the Oslo process did not ultimately lead to peace, we cannot know what might have been without Rabin’s murder and the subsequent election of Netanyahu, who set his sights on destroying the Oslo Accords. In any case, the shared political objective of the Jewish left and centre, as well as today’s Arab leadership, is for the Government of Israel to once again try again to reach peace with the Palestinians – something a right-wing government will not do. I will describe here, a blueprint for a less-than-close partnership in which the Arab MKs are not members of a centre-left coalition but instead support it externally as a so-called blocking majority, as was the case during the second Rabin government. I will also describe what could make this possible in the current or future elections and what actions need to be taken in order to build such a partnership and replace the current government. In recent years, supporters of the Jewish centre and left in Israel, have witnessed a drastic deterioration of the values they hold dear. The government and the man who leads it do damage to the rule of law and to the independence of the nation’s highest court, while augmenting the settlements and reinforcing the occupation. The prime minister and members of his cabinet, regularly incite against the left and against Arabs. Many people believe that the current administration, corrupt and frightened, is leading the country over the edge and into the abyss. Meanwhile, Arab citizens are subject to unprecedented and incessant political assault. Notwithstanding the economic interests behind recent government movement toward more equitable budgeting policies for Arab towns, on nearly all other fronts, the government continues to systematically, frontally and uninhibitedly undermine the rights of Arab citizens. The wave of legislation eroding their civil rights and legal status was epitomized by the now-notorious Nation-State Law in July of 2018 and has been compounded by slanderous ministerial mudslinging that depicts Arab leaders as traitors who collaborate with the enemy, repeated attempts to undermine Arab political representation, and plenty more villainy of that nature. The majority of Arab citizens, along with the Jewish centre and left understand that the only way to alter this vicious reality is to displace the rightist government. However, none of these three groups can achieve that alone. It can only be done by a government led by the centre or the left and supported in one way or another by the MKs who represent the Arab public, as in the second Rabin administration, which owed its existence to the support of the Arab MKs. Such a government would represent the majority of the citizenry, who despite their significant disagreements and disparities, can still agree on the practical directions that the government of Israel must foster. This majority can, and must, be translated into a functional partnership that will replace the current government. In a normal democratic system, the parties that represent most Arab citizens would be an integral part of a future governing coalition, but the prospects for that in the current climate seem dim. The external support from Arab MKs for a centre-left government, however (in exchange for fulfilment of a list of demands, naturally), without their being an actual part of the government but while functioning as part of its base of support – is an achievable goal and should be a key action objective for anyone interested in a change of government in this next or any future election. To begin with, the Jewish centre and left and the Arab mainstream straddle the two sides of the Zionist-Palestinian conflict. In this potential political partnership, each would accord political legitimacy to the other. Given our reality in which most Arab citizens see Zionism as a racist movement, the Jewish centre and left will find it hard to politically connect with them. Arab citizens likewise find it difficult to connect with a government that adheres to the Zionist ideology that brought them the Nakba and the loss of their homeland. The clear recognition that the alternative to this partnership must be disastrous for both sides, however, is what can make such an arrangement possible. Secondly, and this is a central impediment, the Jewish public, and the influential figures who shape Jewish opinion on the left and in the centre, believe that Arab political leaders are not prepared to accept such a development. This inaccurate view is based on inadequate familiarity with the Arab political leadership in Israel. The vast majority of that leadership understands that the only route to curbing the government’s political attacks against Arab citizens and perhaps also moving us closer to an end to the occupation is via the replacement of this rightist government with a government of the centre-left. If they have an opportunity to choose, in exchange (of course) for clear demands, Arab political leaders will support such a government from the outside in order to block another right-wing government. It is worth examining the position taken on this issue by each of the four parties that represent Arab citizens and are running in April 2019 on two lists, each of which comprises two parties. Members of Knesset from Hadash (an Arab-Jewish party, the full name of which is The Democratic Front for Peace and Equality) speak out consistently on the matter, declaring publicly that they will not be the ones to prevent putting an end to the rightist government. Their message is very clear: If the election results make it possible, they will join a blocking majority to enable and support a non-right-wing government. According to MK Yousef Jabareen of Hadash, their constituency will support this move under certain circumstances. Of significance to this discussion is the fact that the participation by Hadash in a blocking majority during the second Rabin government was led at the time by Tawfiq Zayyad, a distinguished and respected national figure among Arab citizens. This creates support in principle for the process and will make it easier for Arab politicians to tread the same ground again, given suitable circumstances. Jabareen’s view is that the realities of an extreme right-wing government under Netanyahu oblige the Arab public to pursue responsible decision making. These are the conditions he believes must be the basis for negotiations about joining a blocking majority: A government that accords full equality for Arab citizens, including reparative affirmative action; that will work to end the occupation based on the 1967 borders, under a clear timetable; and that will guarantee the Arab parties a real ability to exert their influence on decision making, especially in relation to the status of the Arab public and to the question of peace. MK Ahmad Tibi, who heads the Taal party, was interviewed at length by the Calcalist in February 2019, and declared himself ready to join a blocking majority to prevent another government headed by Netanyahu. The key conditions he sets are: Extensive budgetary allocations for Arab towns, including for housing; an effective struggle against violence in Arab communities; recognition of the unrecognised Bedouin villages in the Negev; annulment of the Nation-State Law; and the appointment of an MK from one of the Arab parties to the chairmanship of the Knesset Finance Committee. MK Abd Al Hakeem Haj Yahya of Raam (the Islamic Movement’s southern branch) said in September 2017 that he supported a political partnership with the left to achieve a change of government and these positions align with the position traditionally taken by the party. The Balad party takes the opposite position, but they are in the minority among the Arab public. A recent survey from November 2018 suggested that 64% of the Arab public support the idea of the Arab parties’ joining the government; 80% think that the Arab parties should support the government from the outside in exchange for fairer budgets. The idea that Arab MKs can’t be partners in a process like this was reinforced by the Joint List’s decision not to sign a surplus-votes agreement with Meretz in the 2015 elections. The conclusion however, is unwarranted, because it fails to take into account the peculiar circumstances then prevailing, just a short time after the formation of the Joint List. The opposition expressed by part of the list, the absence of an orderly decision making mechanism, and other special circumstances gave rise to a situation whereby signing the agreement could have led to the dismantling of the Joint List when it had only just been created. The crucial individuals in favour of signing the agreement understandably felt that doing so was not worthwhile if it were to precipitate the dismantling of the partnership only just established. But that’s not a sign of things to come. In an October 2017 radio interview, MK Ahmad Tibi said that not signing the surplus-votes agreement with Meretz had been a mistake. And Joint List chairman MK Ayman Odeh has already said unequivocally, more than once, that not signing the agreement was a mistake that would not be repeated. Bottom line, at least three of the four parties representing Arab citizens are expected to support joining such a blocking majority under certain conditions. A thorough understanding of Arab politics leads to the conclusion that, should the votes of Arab members of Knesset be required to form a government of the centre and left that would unseat the right wing government, most of those votes would be forthcoming. Within the Jewish left and centre, there is strong disagreement on this subject. Meretz unequivocally supports such a step, and Labor tends to support it. There are, however, many opponents within the new centre party, Blue and White. 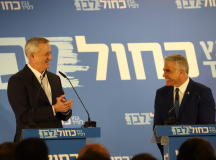 Some among the Labor leadership and even more among the leaders of the centrist parties are still deluding themselves that they will be able to form a government with 61 Knesset seats without the Arabs. Yet this posture is hard to fathom, at least considering the balance of power in the current Knesset, where the leftist and centrist parties (including Kulanu which may or may not join such a government) have a total of 50 seats. Even after the announcement of the Attorney General’s decision to indict the prime minister, and following the meteoric rise of Gantz and Lapid’s new party in the polls, the polls as of early March give the centre and left parties (including Kulanu but excluding the ultra-Orthodox parties) only 51 seats. Worth bearing in mind is that in the last forty years, the left has held power only twice, and both times Arab citizens played a significant role in the victory: It was their representatives who supported the second Rabin government. In 1999 too, when there was a direct election for Prime Minister as well as for the Knesset, Arab votes provided the numbers that put Ehud Barak ahead of Netanyahu. Hence many from the left and some of the leadership of the centre understand very well that the present government cannot be replaced unless Arab citizens are part of the new government’s base of support. The possibility thus exists that after the April 2019 or future elections, circumstances could push the head of the largest party in the centre-left bloc into such a partnership. Thus far, however, playing the hand dealt by Prime Minister Netanyahu with his accusations about their intention to rely on Arab MKs as their base of support for forming a government, the Blue and White party has refrained from any reference whatever to a possible obstructive bloc with the Arabs. If the only way though, that Gantz or another future leader in the centre-left bloc can be prime minister turns out to be adding the Arabs to his government’s base of support – whether because Likud declines to join their government, because they are politically pressured not to form a national unity government with Likud, or they decide to do something substantive vis-à-vis the Palestinians – the chances are that he will follow Rabin’s path and invite the Arabs to join a blocking majority in support of the government. The outlines of the partnership between the Zionist left and the Arabs during the second Rabin administration, over twenty years ago, must now become the minimum objective for a political partnership allowing the formation of a new centre-left government and perhaps laying the foundations to enable the Arab leadership to join the coalition. Bear in mind that such a partnership, which need not be conditioned on first bridging the deep ideological gaps between the Zionist left and centre and the Arab leadership, can still determine the objectives which the government should be pursuing and what it must refrain from doing. That sort of functional agreement is certainly possible. In order to push ahead with this, the relevant stakeholders should not wait for the elections or the day after. The notion that removing the current government is impossible has generated a sense of despair among all three of the potential partners and could well lower the turnout on election day, especially among Arabs. Lower turnout could mean the loss of some seats for the Jewish-centre-left-Arab bloc, a failure to prevent a new rightist government, and a missed opportunity for the kind of positive process that could have followed the election. To seize the opportunity for real change, concrete steps must be taken immediately to encourage the idea on both sides that an alternate scenario is both possible and desirable. Here, then, is a call to action: Political activists, thinkers and doers, those in civil society, academia and from the political world, must begin work on creating a public atmosphere supportive of this option. They should demand that the leadership on both sides promote it, and should begin writing about it without delay, describing how this political partnership would look: What are the conditions for supporting a government from the outside? Different versions of a potential agreement should be drafted to address different scenarios, including an agreement to outline the dimensions of support from the outside for a centre-left government as well as the conditions for joining the coalition (even though the latter is a very low-probability scenario). The field of relations between Jewish and Arab citizens is full of ideas, including in writing, about the existing situation and potential final agreements addressing the relationships and the regional situation. The existing documents, however, do not address the crucial matter of political partnerships that could enable the establishment of a government in Israel that would eventually secure an end to the occupation and stabilize these relationships in a positive way. Thus far, various figures among the Arab leadership have proposed different requirements: the revocation of recently passed discriminatory legislation like the Nation-State Law; real steps to advance equality for Arab citizens, including an end to home demolitions in the Negev; expansion of the jurisdictional areas of Arab towns; significant steps to reduce discriminatory budgeting; and the appointment of Arabs to head Knesset committees. This is about taking steps that are real and substantial from both a practical and a symbolic standpoint, and they are partially implementable immediately. Moreover, the Arab leadership will naturally also demand that serious negotiations be started with the Palestinians, en route to ending the occupation. Demands such as these, although challenging for the Jewish left and centre, do not contradict the centre-left worldview, so it is reasonable to anticipate a positive response that will assure the support of most of the Arab Knesset members for the new government. And as long as the conditions are met, most of the Arab public will also support this – exactly as they did for the Rabin government. The political leadership of the Jewish centre-left and of the Arabs must do their part to promote the atmosphere required to breathe life into this partnership after the elections. They will need to speak out strongly to counter voices in both the Jewish and Arab public that try to portray supporters of this idea as politically weak and insufficiently nationalistic. 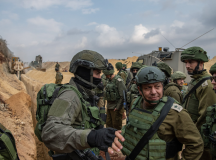 But even now, especially now, while Prime Minister Netanyahu is leading a no-holds-barred campaign trumpeting the “danger” of such a partnership, the level-headed and responsible leadership on both sides can and should pave the way for a successful working partnership. The leadership of the centrist parties, and of Labor and Meretz and the Arab parties, must move to establish a mechanism to press ahead with thinking and discussion about this, and the party memberships must start pressuring their leaders to act. It is important to create quiet agreements about non-participation in the delegitimisation of the other side, and about refraining from attacking the other side in a way that delegitimises a future partnership. As a trust-building measure, the leadership of the centre and left must avoid supporting any step designed to disqualify any Arab Knesset member or faction and must actively and consistently oppose the attack that the present government is leading against Arab citizens. Regrettably, the new centrist party, Blue and White, decided in March 2019 to support the disqualification of the Arab list Balad-Raam from competing in the upcoming elections for the Knesset (a decision that was later overturned by the High Court of Justice). Undoubtedly this unworthy manoeuvre reduces the chances of creating such a partnership, and serious confidence-building steps will be required on the part of Blue and White if they eventually decide to form such partnership after the election. Given all of the foregoing, a functional political alliance along the lines proposed here will necessarily be a complicated and difficult process on both sides: For the Arabs, it won’t be easy to go from being constantly in the opposition to supporting the government, and there are forces in Arab society that will attack such an alliance. On the other side, having become much stronger in recent years, the right will unleash a firestorm against a government that allies with the Arabs, since the delegitimization of Arabs by the regime in power is one of the big political achievements of the right. The streets will be full of demonstrators and the Shin Bet will need to protect the prime minister very well this time. Perhaps the prospects for such an alliance to come about are not bright. But for those who hesitate I would ask – what’s the alternative? In practical terms, what do you propose to do in order to prevent the continuation of right-wing rule, which is corrupting the country, severely damaging the foundations of democracy, leading to ever more violent confrontations with the Palestinians under occupation, destroying the relations between citizens, and liable finally to drown us in blood? There is only one way to prevent this nightmare: To establish a reasonable, rational political partnership between the Jewish left and centre and Arab citizens, one that will enable the government of Israel to try, again, to end the Israeli-Palestinian conflict and give all our children hope and a future in this land. 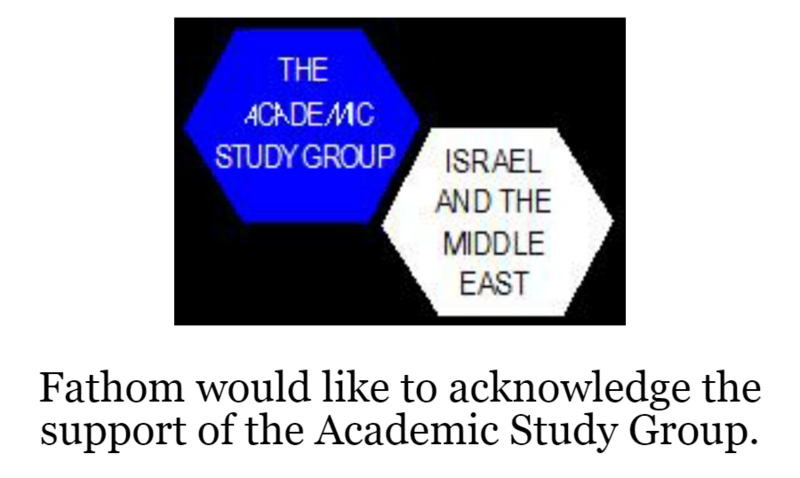 The article, translated from the Hebrew by Deb Reich, appeared originally in Hebrew and Arabic in September 2018 in “Achievable Alliances” edited by Amir Fakhoury and published by the Research Center of the School for Peace at Neve Shalom~Wahat al-Salam. It has been updated to cover the recent developments of the April 2019 election campaign. Ron Gerlitz is the Co-Executive Director of Sikkuy, The Association for Civic Equality in Israel; the opinions expressed here are his own. they would be finally masters of their own fate, after all the persecutions that the Jews have suffered at the hands of non-Jews of all descriptions, sufferings that stupefy the mind. That will never be the case if they share that homeland with foreigners of any provenance, including the Arabs. The territory was initially all of Palestine, which the treacherous Brits have immediately reduced to 22% by creating ILLEGALLY on 78% of the territory the Emirate of Transjordania, today’s Jordan. The Palestinian ‘narrative’ has tried very hard to re-write history made out of whole cloth, claiming that the Jews stole ‘their land.’ This narrative ignores the fact that there never was a ‘Palestinian’ state, that Palestine was never anything but an administrative district of the Ottoman Empire, that Palestina is not even a word of Arab origin, but a Latin word, that the Romans used after their victory over the Jews in the year 70 to make the world forget that this was the Jews’ land, given to them by the Lord in a special covenant. This small plot, 22% of what was intended for the Jews in the Balfour Declaration, is for Jews only. The Arabs have all the land from Morocco to Pakistan; surely there will be space for the Arabs that squat on Israeli soil. If the Jews want to be masters of their own fate, their state must be a Jewish state.